Browse Junis Hayate Gallery: Recent | Popular. Actually I think it might be a Lemur but regardless she is quite cute and well those short female ninja outfits always look good. Thanks for sharing. Perfect!Thank you so much for your scan! Hi! In this my first post here, She isn't from Samurai Spirits, minus from some game of SNK; else from one famous of Psikyo: Samurai Blade, second of Samurai Ace series and known as Tengai in arcades. 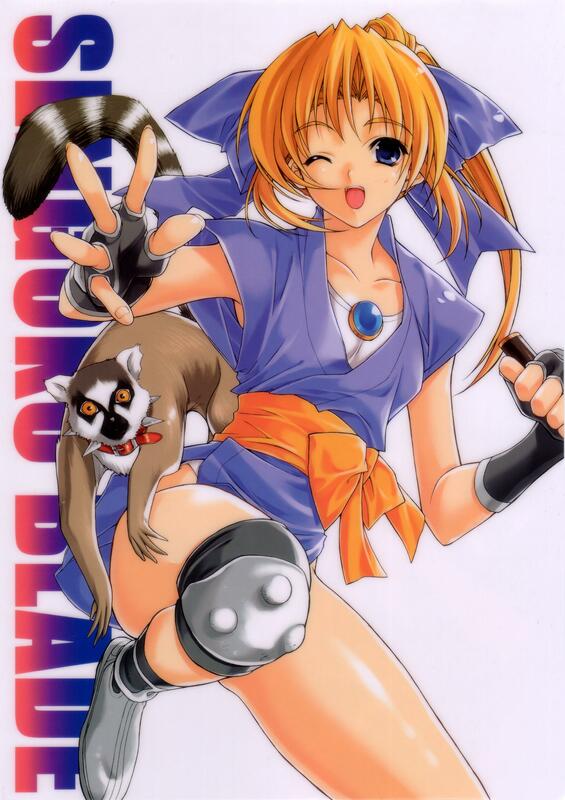 She is Junis, youth kunoichi debutant in this game and is in a colored cover of some doujinshi. More info about this series: http://hg101.kontek.net/sengokuace/sengokuace.htm, http://longrangebullet.info/tsukasa/contrib-games.html & http://www.vgmuseum.com/end/arcade/c/te.htm. Anyway, take care yourself. Good-bye.